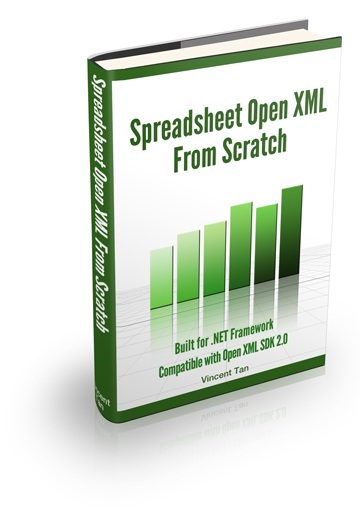 Create spreadsheets with C#/VB.NET and Open XML SDK. Full source code given, together with resulting Microsoft Excel spreadsheets. In-depth explanation of relevant concepts in accompanying PDF file. No complicated software licensing. Do whatever you want with the source code (but please don't use it for evil. Thanks).